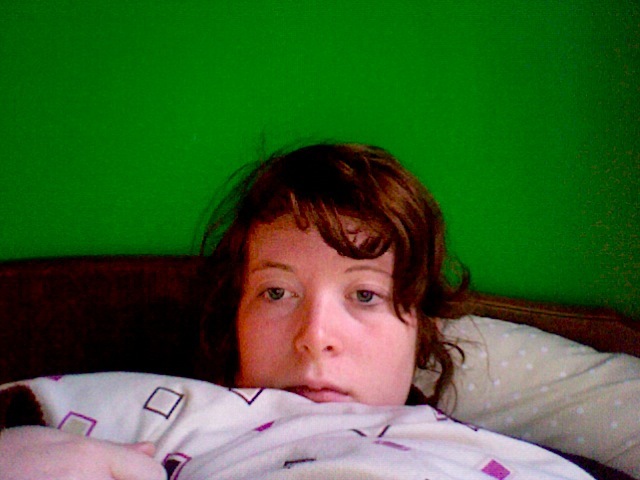 oh no, I appear to be ill. I woke up this morning with a really tight chest and horrid coughing that feels like you are ripping the insides of your lungs out. Not good. I was supposed to be helping Rob with the decorating of the room next door, soon to be our bedroom, but unfortunately I could only manage a meager amount of poly filling some holes, before I had to retreat to my bed, where I have been all day. My appetite has seemed to increase though, which I'm not sure is a good or a bad thing. It's a little bit scary feeling ill when you are pregnant, your body is already doing so much, that the tiniest thing seems to knock you out completely. I feel slightly pathetic! But it also worries me for the future, because what happens when you are ill like this, but there is a baby to look after, I won't really be able to lie around in bed all day resting, and even worse when they are a toddler. I guess I'll just have to cross that bridge when I come to it! Well that's all for now, I don't think I can really manage much more, see pathetic right? p.s I just had a bath, and I saw my stomach move when I felt the baby kick. How strange and wonderful.